Holyfield had a great first game after committing to UGA on Friday night against St. Pius. How did UGA’s commitments do this week? What about all of those elite targets? Which major UGA target did not play on Friday night as he sat out as a precaution? Scroll down. Get used to visiting DawgNation every Saturday morning to see how everyone did on Thursday or Friday night. Check back throughout the morning as updates come rolling into the DawgNation reporting staff. 1. Elijah Holyfield, Woodward Academy (committed to UGA) — The new UGA commitment scored four times and ran for 9.6 yards per carry on his way to 183 yards in a big victory against St. Pius. 2. 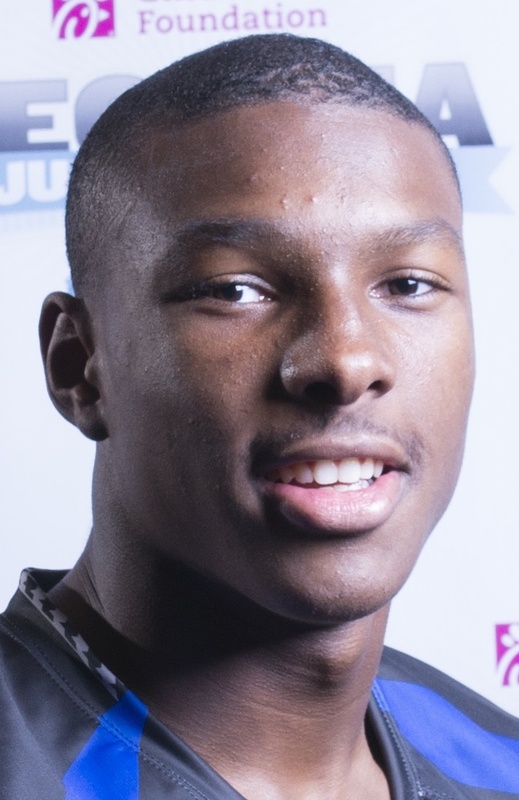 Mecole Hardman, Jr., Elbert County (undecided) — Hardman torched Stephens County on the ground with another 100-yard night, but ripped off the higlights by scoring three rushing touchdowns and also converted on another trio of two-point conversions in a 34-30 victory. 3. Charlie Woerner, Rabun County (committed UGA) — Woerner had another strong all-around game by catching two touchdowns on offense to go along with posting five tackles and an interception on defense. 4. Jacob Eason, Lake Stevens, Wash., (committed to UGA) — The 5-star QB threw for 247 yards and three touchdowns on Friday night. 5. Marquez Callaway, Warner Robins (undecided) — Callaway had seven receptions for 126 yards and two touchdowns. He also had three carries for 70 yards. WR Darion Anderson, Houston County — Anderson and his Bears beat Grovetown 34-3 on Saturday. OL Chris Barnes, Lee County — Barnes and his Trojans stayed unbeaten on the season after a 42-23 win against Worth County. DT Tyler Clark, Americus-Sumter — Clark’s Panthers picked up their first win of the season in a thrilling 65-49 score fast against Shaw. DB Chad Clay, Peachtree Ridge — Clay and his Lions were off this week. They’ll face perhaps the strongest team bar none regardless of classification next week in McEachern at home. OL/DL Ben Cleveland, Stephens County — “Big Ben” and his Indians couldn’t tackle Elbert County 5-star prospect Mecole Hardman, Jr. often enough in a back-and-forth 34-30 setback in Elberton. WR Davion Curtis. Temple (Tx.) — Curtis and his Wildcats lost 28-17 to Westlake. The Temple Daily Telegram’s game story credited Curtis with five catches for 107 yards. The report made mention on his blinding speed in the recap. WR Randrecous Davis, Mays — Davis and the Raiders breezed to a 45-6 win against M.L. King. OL Aaron Dowdell, Creekside — Creekside rolled to a 44-20 victory against Carver-Columbus and Louisville QB commitment Jawon Pass on Friday night. RB Elijah Holyfield, Woodward Academy: Holyfield had a brilliant first game as a public UGA commit. He ran the ball 19 times for 183 yards and four touchdowns in a 36-29 win against St. Pius. QB Jacob Eason, Lake Stevens (Wash.) — The 5-star prospect threw for three touchdowns in a 49-21 loss to Meadowdale. He completed 15 of his 29 passes for 247 yards. His passing line was also influenced by five dropped passes. 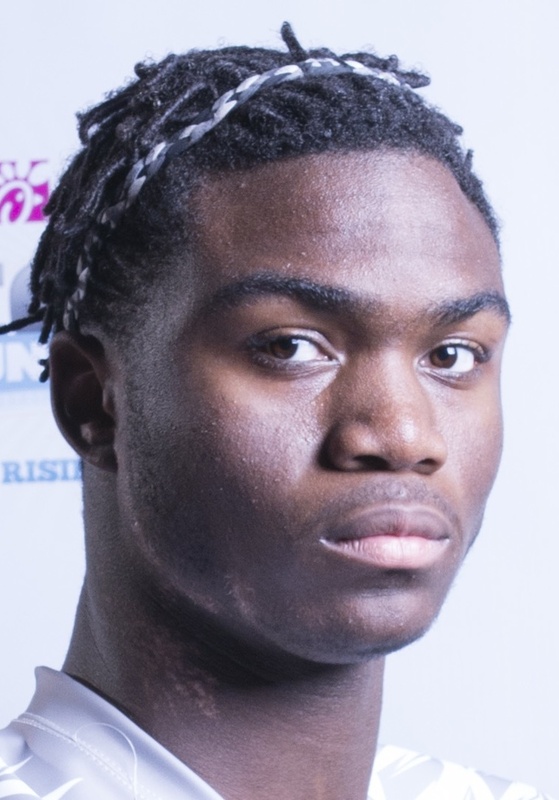 LB Jaleel Laguins, Oconee County — The 4-star linebacker was part of an easy 41-7 win on Friday night against Athens Christian. DE Chauncey Manac, Clinch County — Clinch County was idle this week. DB Tyrique McGhee, Peach County — McGhee did not play in Peach County’s 13-6 win against Perry on Friday night. He sat out with an undisclosed injury. DT Julian Rochester, McEachern – Rochester and his Indians staked a claim as having Georgia’s best overall team regardless of classification on Friday night after a 37-14 win against Buford. The victory snapped Buford’s 42-game win streak. TE Garrett Walston, New Hanover (N.C) — The Port City Daily credited Walston with six catches for 46 yards in an otherwise dreary result for his team. Havelock beat New Hanover by a 42-0 margin. TE/WR Charlie Woerner, Rabun County — Woerner had another above-average game with his five catches for 52 yards in a 35-10 win against Mount Pisgah. He also added five tackles and an interception on defense. ATH Malek Young, Coconut Creek (Fla.) — Young’s Cougars fell 21-14 to Flanagan, Fla., on Friday night. The Miami Herald’s game story noted that Coconut Creek fell behind by a 21-0 count, but scored two late touchdowns to make it dramatic. The Flanagan defense suffocated the Cougars with their nine sacks, two interceptions and also recovered a fumble. DT Derrick Brown, Lanier — Brown had a strong first half but sat out the third and fourth quarters of Lanier’s 37-20 win against Clarke Central. He had four tackles in the early going, including three stops for losses. DE Brian Burns, American Heritage (Fla.) — American Heritage fell 23-22 to Maryland’s Dematha Catholic on Saturday in a pairing of nationally-ranked teams. ATH Marquez Callaway, Warner Robins — Callaway had seven receptions for 126 yards and two touchdowns in a 35-7 win against Greenbrier. He also had three carries for 70 yards. WR Kyle Davis, Archer — Archer was idle on Friday. 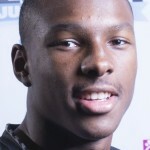 ATH Mecole Hardman, Elbert County — The nation’s No. 1 athlete scored three touchdowns and added three two-point conversions in Elbert County’s 34-30 home victory against Stephens County. Hardman lined up at quarterback and was a primary run threat. He finished with 15 carries for 124 yards on the ground. OL E.J. Price, Archer — The 4-star OL and his Tigers were idle this week. ATH Demetris Robertson, Savannah Christian — Roberston and his Raiders did not play this week. DB Nigel Warrior, Peachtree Ridge — His Lions were off this week. RB Devwah Whaley, Beaumont Central (Tex.) — The Port Arthur News reported Whaley had 25 carries for 115 yards and a touchdown at the conclusion of a 24-7 loss to Port Arthur. WR Binjimen Victor, Coconut Creek (Fla.) — The Miami Herald credited Victor with five catches for 113 yards and a touchdown catch on a night where he provided more than his share of highlight reel catches. QB Bailey Hockman, McEachern — Hockman was 9-for-22 passing for 237 yards and three touchdowns in an impressive 37-14 victory against Buford. ATH Deejay Dallas, Glynn Academy — Dallas and his Red Terrors fell 24-17 to Glynn Academy. WR Devonta Smith, Amite (La.) — Smith and his Warriors won 44-12 against St. Helena College.